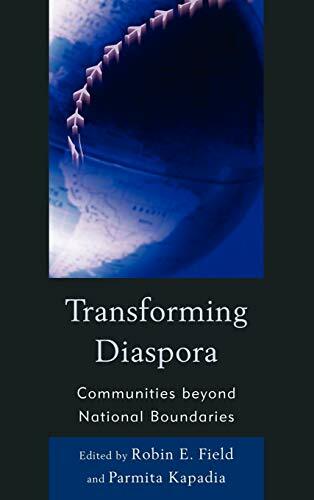 Transforming Diaspora brings together an eclectic collection of essays that challenges traditional understandings of the diasporic condition. Most studies of diaspora privilege place, thus creating a binary between homeland and hostland. This book argues that the emerging forces of transnationalism and globalization have rendered such a division obsolete. Rather, the editors posit transnationalism and globalization to be fundamental characteristics of contemporary diasporic communities. Exploring the effects of the present historical moment on diaspora, the essays examine the changes in the relationships between diasporas, homelands, and hostlands. The collection is divided into two broad categories. The first section offers reinterpretations of the fundamental understandings of diaspora. The second section explores the complex relationship between the theoretical concept of diaspora and the realities of daily life for diasporic citizens. Robin E. Field is assistant professor of English and the director of women’s studies at King’s College (Pennsylvania). Parmita Kapadia is associate professor of English at Northern Kentucky University.